Children's Services Council of Broward County Florida Supports the "Lock It Up!" effort to distribute gun locks led by the League of Women Voters of Broward County. The locks have been donated by the Miami VA Healthcare System / U.S. Department of Veterans Affairs. The VA and LWVBC have come together on the initiative because of the outsize role guns play in the deaths of children and veterans. 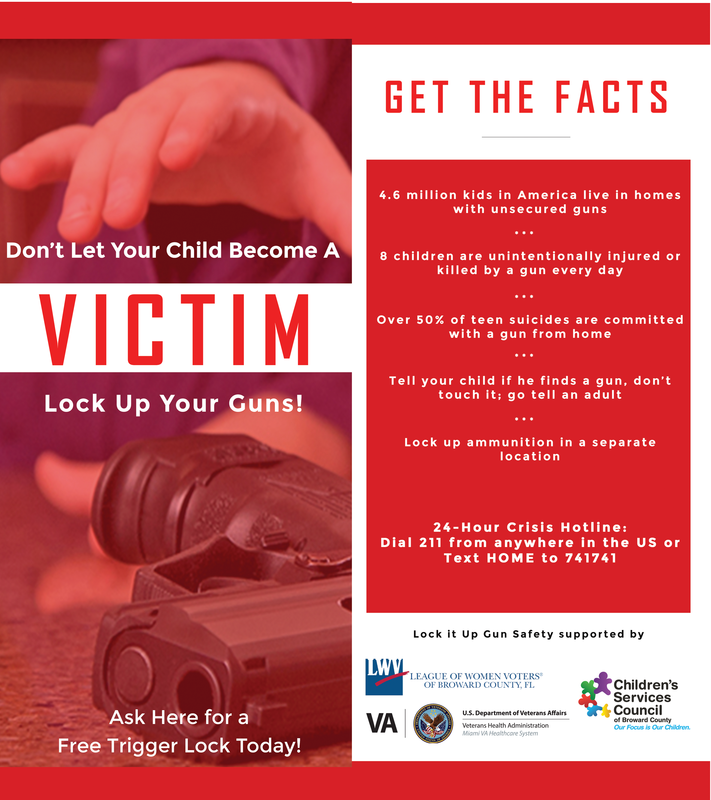 Contact gunsafety@lwvbroward.org or call (954) 735-1311 to learn more.